In 2011, Anthony and Carla helped out a good friend. He wanted to host his guests with authentic Jamaican food, good old reggae and some nice rum. The only challenge was, he was unable to cook. So Anthony and Carla took over his kitchen for the evening, the food was well received, immediate referrals followed and the Blue Bonnet was born. Based out of Watford, Blue Bonnet have been providing on site private catering for family, friends and referrals. Now you too, are able to have the Blue Bonnet experience delivered to your door and find out what the fuss is about. 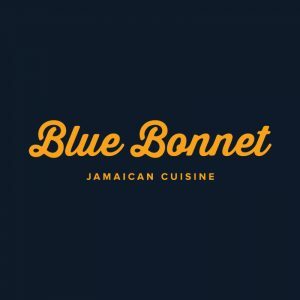 Following an unbroken chain of family recipes passed on for decades and using only authentic ingredients, Blue Bonnet offers an array of delicious Caribbean food. We may be unable to help with your taste in music and we’re sure you have the drinks covered and now with Blue Bonnet, the food is also SORTED!! !